Cooperstown, NY – Some of the great moments of the stage revolve around the consumption of beverages, with entire songs dedicated to the drinking pastime. With this in mind, The Glimmerglass Festival and Brewery Ommegang are teaming up this summer for a contest to name and describe the 2012 limited-edition Brewery Ommegang beer of The Glimmerglass Festival, the summer opera and musical theater festival in Cooperstown, New York. Throughout this summer, Glimmerglass audience members are able to participate in the development and naming of the new beer. Patrons can describe the perfect beer, one that brings together appreciation for both opera and beer. The new brew will be dubbed with the name which best encompasses the essence of The Glimmerglass Festival. The official Glimmerglass beer will debut at the opening of the 2012 summer season and will be available for the duration of the Festival. The participant who submits the winning creation will receive a prize package including two 2012 Glimmerglass Festival subscriptions and two cases of the winning Ommegang beer. Contest forms can be completed at any of the Glimmerglass performances this summer, and may be submitted at The Glimmerglass Festival website, www.glimmerglass.org. Brewery Ommegang is located on a 140-acre former hop farm in Cooperstown and is the first farmstead brewery built in America in more than a century. Its beers are thoroughly Belgian and the facility uses Belgian brewing techniques such as open fermentation and warm cellaring to create the company’s widely renowned beer flavors. Ommegang is the official brewery of The Glimmerglass Festival. 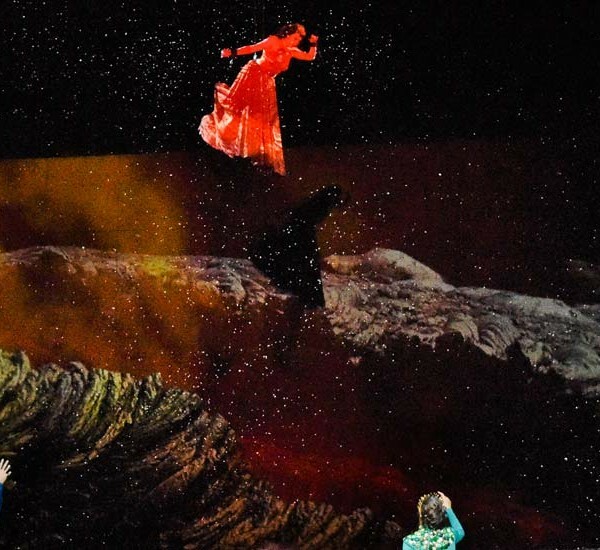 The 2011 Glimmerglass Festival runs through August 23 with rotating productions of Carmen, Medea, Annie Get Your Gun and a double bill of new works: A Blizzard On Marblehead Neck and Later the Same Evening.